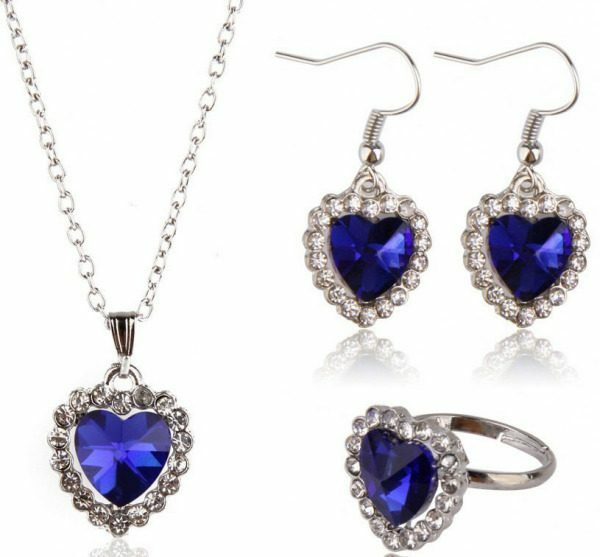 Heart of Ocean 3-Piece Jewelry Set Only $3.99 + FREE Shipping! You are here: Home / Great Deals / Amazon Deals / Heart of Ocean 3-Piece Jewelry Set Only $3.99 + FREE Shipping! I LOVE the Heart of Ocean jewelry. I think they’re so classy and beautiful. And, right now you can get this Heart of Ocean 3-Piece Jewelry Set for $3.99 + FREE shipping! This set includes a necklace, earrings and a ring. It would make a great treat for yourself or gift for someone else!